SNK has officially announced that three new characters are coming to Samurai Shodown and one of the three characters has been revealed in the event. 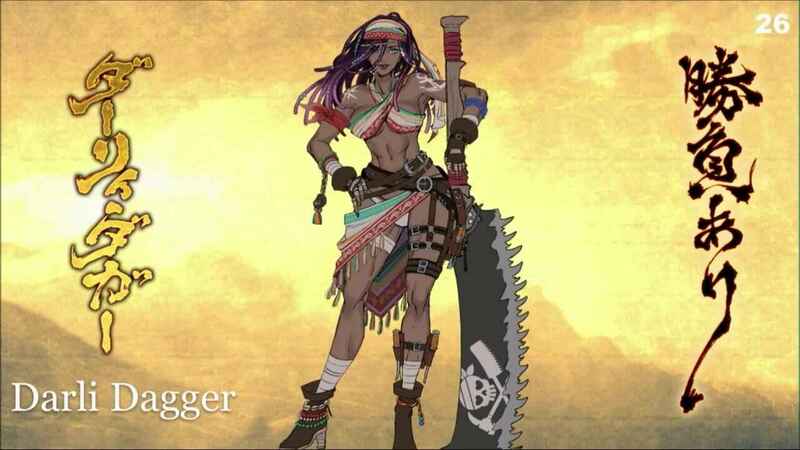 During the presentation earlier today at PAX East 2019, SNK has revealed Darli Dagger, a swashbuckling sailor wielding a saw weapon which according to game designer Joshua Weatherford, the weapon is equipped with some secrets. As mentioned above, there will be three new characters to be added in the game. Since the first character has already been revealed, SNK has promised to reveal the remaining two characters tomorrow, April 5th. If you’re one of the fans who is waiting for the reveal of the remaining characters, make sure to watch the live stream tomorrow on SNK YouTube and Twitch channel. The upcoming new Samurai Shodown will have a total of 16 playable characters and 13 of them are coming from the previous games. As of writing, SNK has yet to announce the release date of Samurai Shodown for Nintendo Switch.